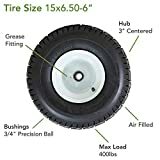 15x6.50-6"-Inch Pneumatic (Air-Filled) Lawnmower Tire. 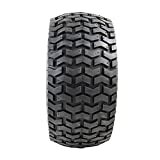 Comes standard with a 3"-Inch Centered Hub and 3/4"-Inch Bushing. Turf Tread. 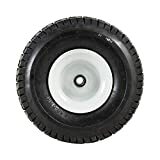 Interested in the Marathon 15x6.50-6" Pneumatic (Air Filled) Tire on Wheel, 3" Hub, 3/4" Bushing? Is the price too high? You can easily price watch this product and we'll notify you when the price reaches your target.